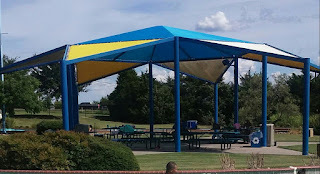 Disclosure~ This is a sponsored post on behalf of US FamilyGuide and Water Works Park located in Denton, Texas. My family and I received a complimentary admission to the water park in order to complete my review. :) All the pictures in this post are taken by me or my children while at the park! is how Clean it was!! All the areas were sparkling and nice. There where many chairs, tables and loungers to go around for everyone in the park that day! WE never waited to do anything at Water Works. The park staff was awesome and friendly. Special thanks to Darby and Maria! 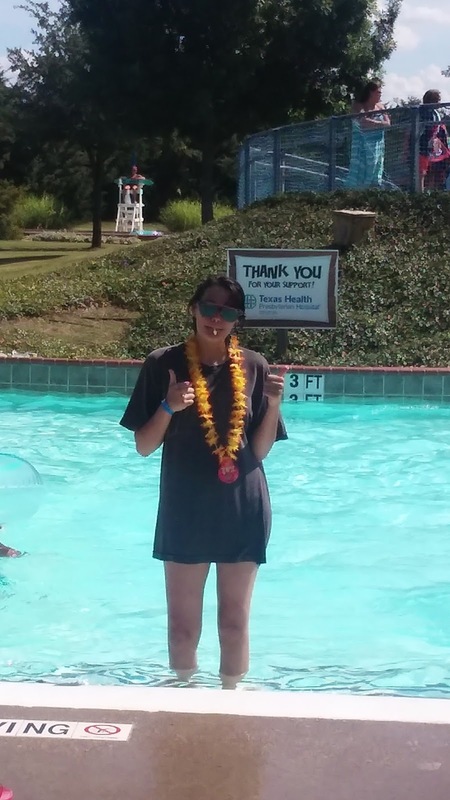 My favorite part of the park was the lazy river. The Lazy river was a nice pace and had a waterfall, bubbles and sprinklers as you are going thru! The water was very calming and clear. We must have went thru it about 15 times that day!!! This is the one nearest the Big Slides!! There are 4 REALLY COOL slides up those steps!! My family gave them all a go!! My son liked the Hula loop Slide, that's the blue and white one at the VERY TOP!! 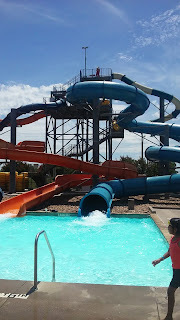 My daughter and J liked the Big Kahuna, that's the Big blue one in the picture above! 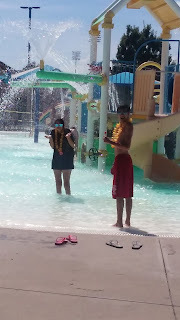 My son, and my Daughter further down the Lazy River at another enter/exit! This one is the closet to the children's play pool!! There was water falling and being shot from everywhere! 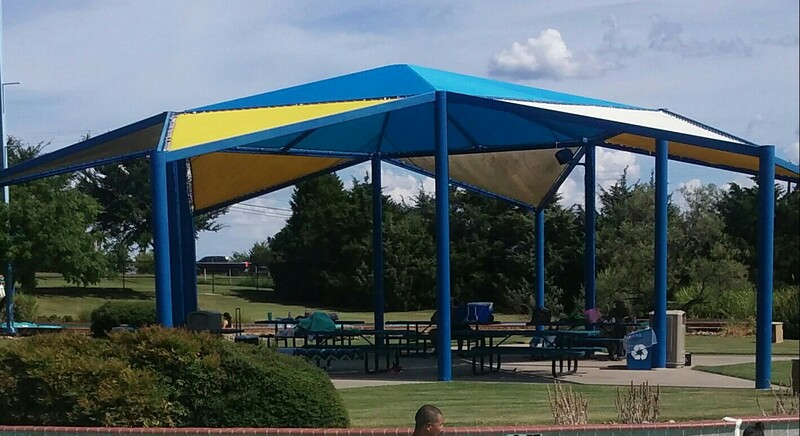 There were PLENTY of shaded areas! There was also a great PARTY area! 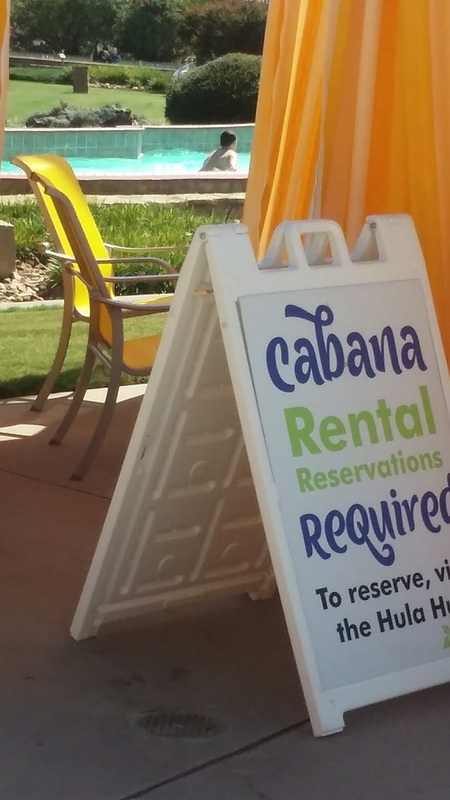 You can rent this area or any cabana for a Party or Reunion. 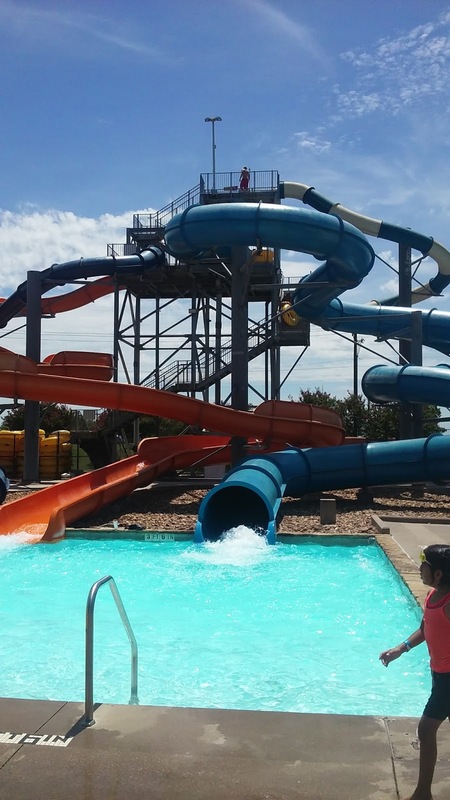 Also available with your water park admission is entrance is an indoor pool with lanes, slide and diving board! make this an awesome summer! 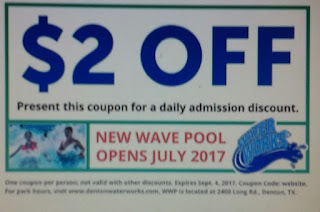 To save even more off the everyday low prices!! Its Defiantly worth the drive! 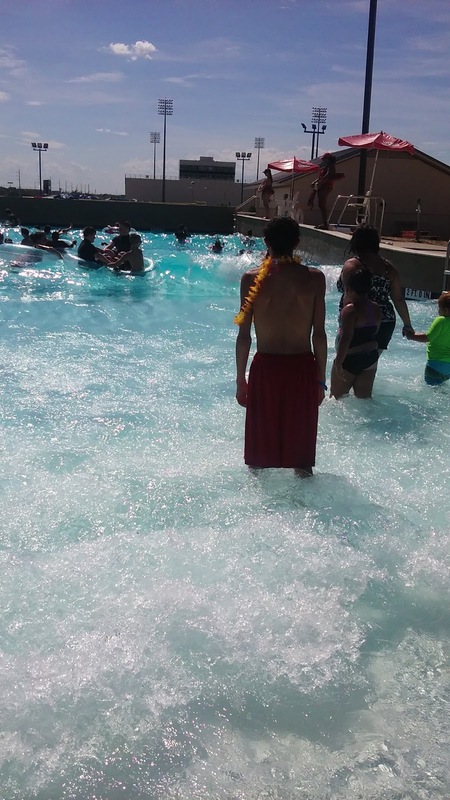 When you go to Water Works you will have a great time if you take only 2 things ~ flip flops and sun screen! !